Paf Casino is welcoming the arrival of a new video slot, Big Bang, that will take you on an interplanetary trip into deep space... and some cool promotions! 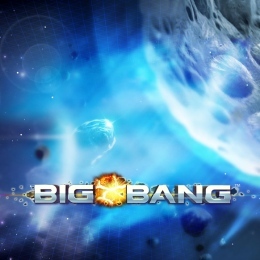 Celebrate the arrival of Big Bang at Paf Casino by joining a 5-day tournament series worth 5,000 euros. The casino is also giving away 5 free spins for everyone who has qualified for the tournament. What makes this game so attractive to play? Multiply your winnings.. sounds great, right? The multiplier increases your winnings by X2, X4, X6, X8, X16, up to a massive X32. Furthermore, Wild symbols can substitute for other symbols to complete winning combinations with multipliers. As such, the possibilities for stellar wins are out of this world! The tournaments will run on the Big Bang slot machine. There is one tournament a day for 5 days. Each of the tournaments has a prize pool of 1,000 euros divided among the 20 players with the best score. The tournaments will take place between today and 4.5.2014, and each one will run between 00:00 CET and 22:59 CET. All participants who qualify for the tournament (who play at least 20 rounds with a minimum bet of €0.25) are also rewarded with 5 free spins on 5.5.2014. Each free spin is worth €0.25. Please note, that to be able to win free spins or win the tournament you need to play with a minimum bet of €0.25 and play the minimum rounds required (20). The winners of the tournament will be decided by the best average payout percentage played over 20 consecutive rounds. Check out the calculation method at Paf Casino's website. Your free spins can be used on 5.5.2014 between 09:00 CET and 22:59 CET, and you can’t win more than 5 free spins during the whole 5-day competition. Winnings for the tournament winners will be paid out automatically after the tournament finishes. Free Spins winnings and tournament prizes are deposited as real money.